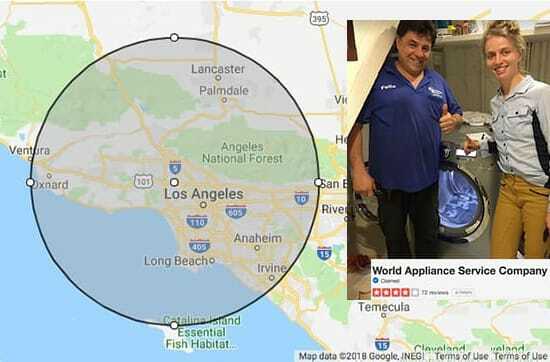 World Appliance Service Co works to repair home appliances, and we also work to make your day better by proving you with friendly, engaging, and dependable service in Los Angeles and San Fernando Valley. Our highly skilled technicians will promptly assist you with your problems and unlike other repair companies, we truly care about giving you the best outcome. In most cases, we can provide same-day service. We never charge you extra for repairing your refrigerator or freezer at night, on the weekend or during holidays. We never burden you with an additional charge for traveling to your area. Call us today to schedule an appointment and learn how you can save $20 on your refrigerator repair. World Appliance Service Co is here to aid you during this stressful moment in your life. No one compares to our service!